Jim Stone, head coach of the U.S. girls’ youth national team, talks here about 5 teaching points that coaches should emphasize to help their athletes play the game at a higher level and get there more quickly. Make sure all of your players have frequent opportunities to repeat skills in practice. In scrimmages or wash games, it’s common for a few players to get most of the touches, so it’s a good idea to keep track of how many hits, passes, etc. each player gets so you can balance out everyone’s reps.
Emphasize how important it is in volleyball to move slow to fast on skills like the attack approach or going to the outside as a middle blocker. Teach your team to play assertively and aggressively and always be on the attack. For instance, when playing a third touch on the 10-foot line, players should jump and take an 80 percent swing rather than just bumping the ball over. 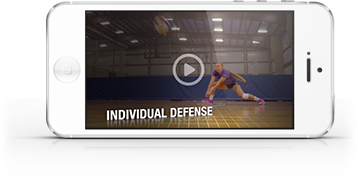 Make it clear to your serve-receivers that overhand passes should be used sparingly when facing strong servers who bring heat. Better options are moving back and playing the ball at your midline or taking a drop step and contacting the ball to the side with a good platform angle. Against great servers, overhand serve receive can cause serious problems. Have a serving strategy for both taller players and shorter players to help them achieve a trajectory that will put maximum pressure on the receiving team.